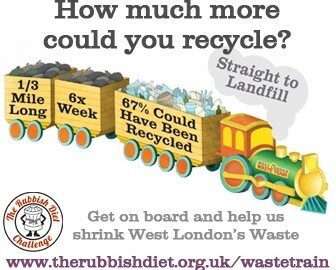 As part of our Rubbish Diet work with West London Waste Authority, we created a campaign to draw attention to the scale of waste, with a reach of 250,000 in newsletters and on social media. Rubbish Diet is a Finalist in BiB Awards! The Rubbish Diet team are delighted to have been shortlisted for a BritMum’s Brilliance in Blogging Award! What with Karen’s TEDX talk and feature on the Guardian’s Live Better Blog, its great to be getting the word out.